Mining Light consisted of three, inter-dependent fabrications; the Devil’s Oculus, the Translator and the Light Baffles. 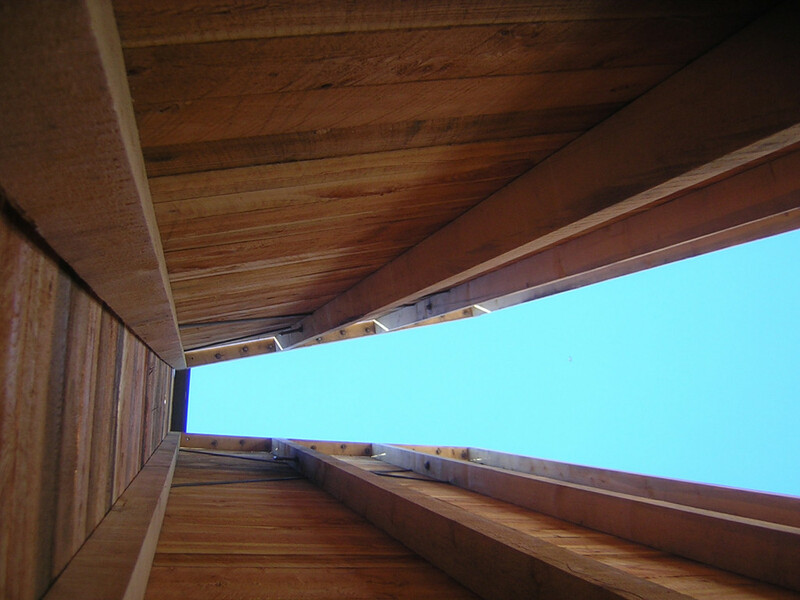 The Devil’s Oculus was a framework of timbers cut from a single trunk, sheathed in rough-sawn boards and anchored to a steel horseshoe spiked to the ground. It framed the sky and creaked in the wind. 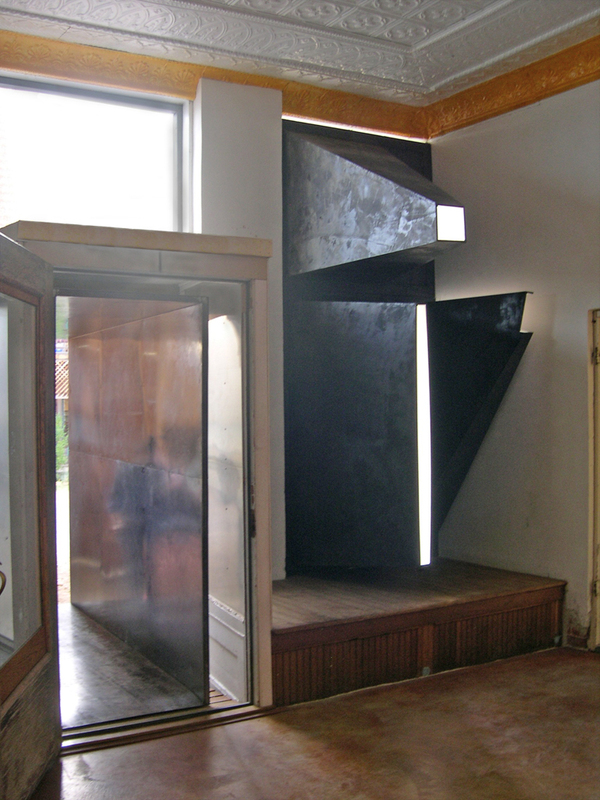 The Translator was a threshold on a pivot, made of a tube steel and a double skin of hot-rolled steel sheet. 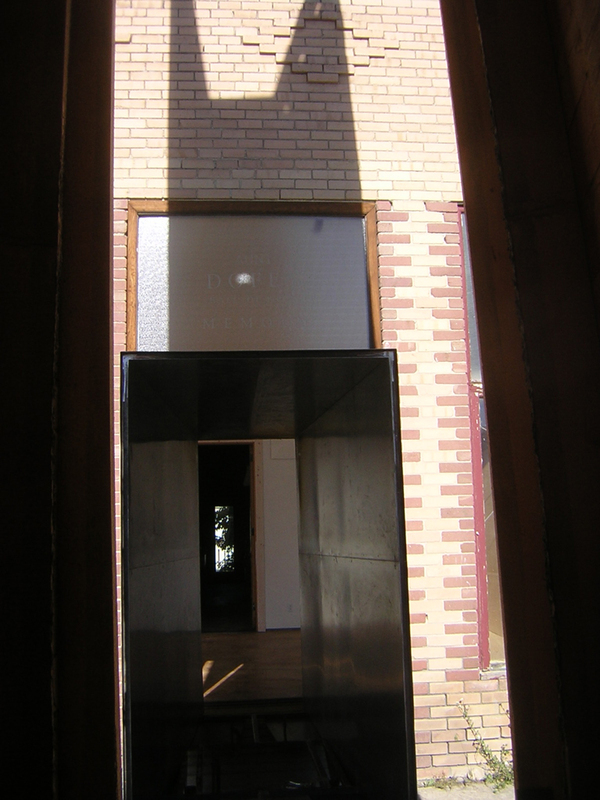 Its interior was polished, projecting sunlight in and shadows out. It lurched and squeaked each time a participant entered its chamber. 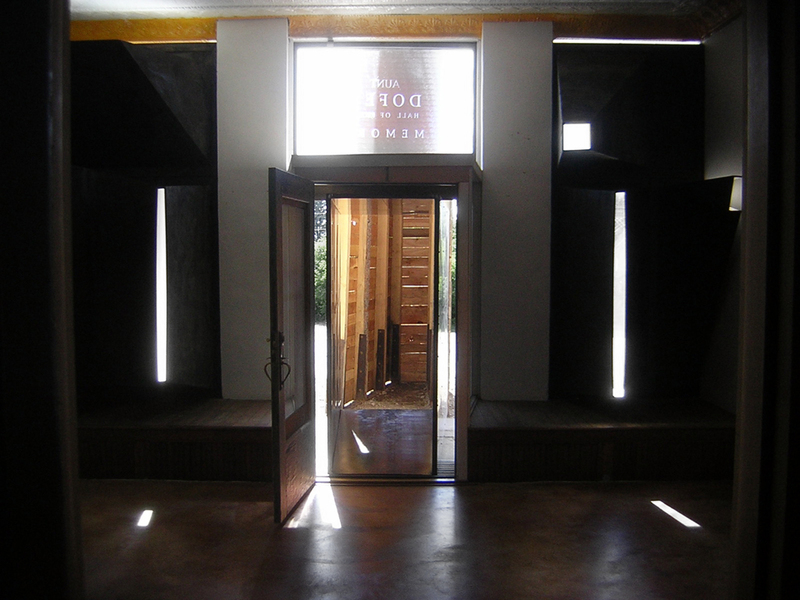 The Light Baffles were plywood shells skinned with dyed muslin and fixed to the inside of the windows. They were silent, glowing, sentinals, transforming the gallery into a spectrographic observatory. 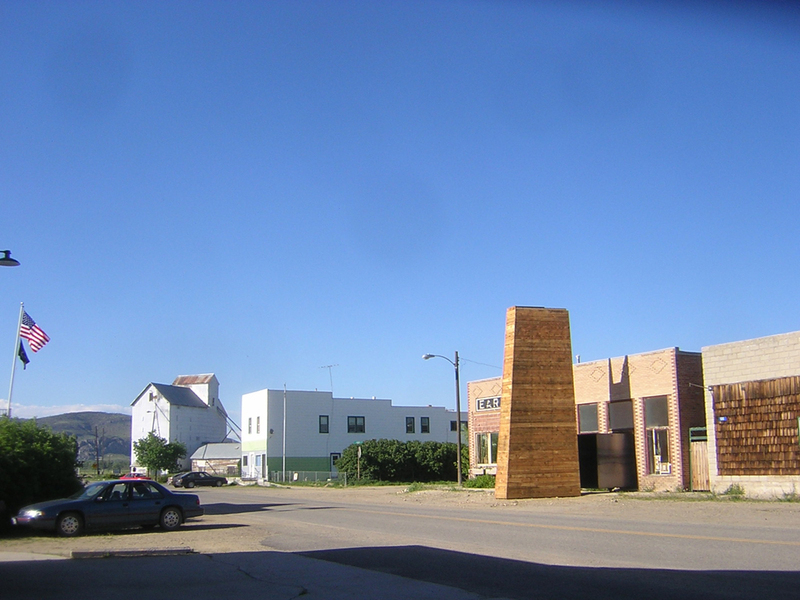 All fabrications were made in parts at Medicine Hat studio in nearby Gallatin Gateway, then installed and fitted on site. This trio was made in an attempt to mediate between the vast and the intimate; to funnel, channel, and otherwise reckon with the space, light and sky of Montana.